Before Inspire Suffolk met Jodie, she had left her job to care for her mum. Jodie was working in a residential care home for the elderly, which was becoming very intense at the same time as balancing the pressures of caring for her mum, which made her stress and anxiety levels soar. She then became ill herself, so they were both acting as carers for each other! Jodie focussed all of her energy and time on caring for her mum, which although it was very tiring for her, she found it really rewarding and had been a family carer for over 8 years since she was 14 years old. As time went on her mum started to become more independent and Jodie started to get better herself, and so she decided now was the time to put some focus on herself and pursue her career route. 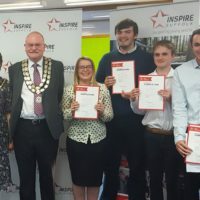 Unfortunately, her job search was unsuccessful due to her health issues, which is when she discovered Inspire Suffolk’s Prince’s Trust Team programme to work on her confidence and build her skills. Prior to joining the 12-week programme, Jodie was nervous about the social aspect of the course, due to not socialising with anyone outside of her family for a whole year since leaving her previous job. She said “being stuck at home with the same four walls was making me go mad”. A natural leader appeared in Jodie and a commanding voice emerged that she didn’t know she had. She successfully led the team through a fantastic community project at Leading Lives, a centre supporting adults with learning disabilities in Suffolk, transforming their garden alongside the centre’s users. 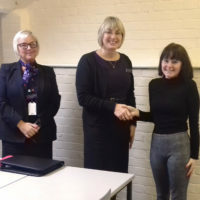 She also excelled at her work experience with a charity, Avenues East, running activities for people with disabilities, which took her out of her comfort zone and got her into a routine, but most importantly helped her to realise which career path she’d like to take. The rest of the team relied on Jodie as a leader, supporting her peers to get over their barriers as well as her own. Jodie embraced every challenge that faced her. She was nervous that her health may inhibit her during the programme, but she didn’t miss a day and started to realise that she was capable of many things and that her health wouldn’t hold her back any longer. Jodie’s mum was a key part of her journey too, pushing her to come onto the programme above Jodie caring for her and she really enjoyed seeing Jodie do something for herself. Following finishing Team programme, Jodie spent a week volunteering with Avenues East on a trip to Mersea Island, supporting people with disabilities as one of the leaders and caring for them all day and night. She now has a job at Leading Lives working as a Support Worker where she has been there for over a year. 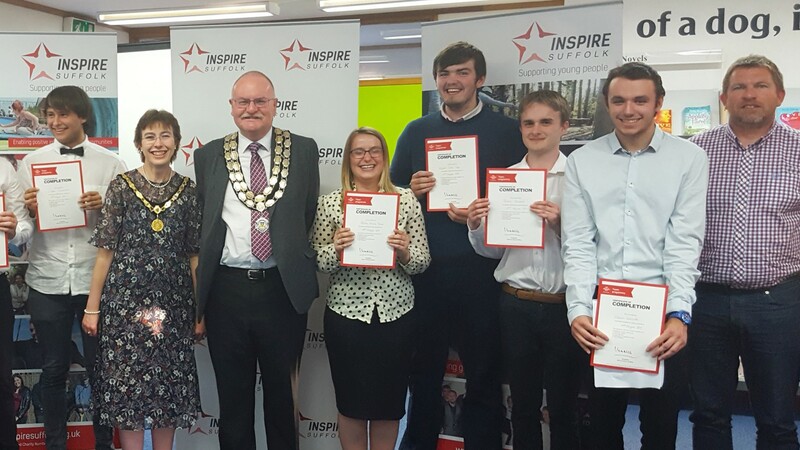 She now appreciates how important it is to focus on herself as well as others and realises that she was neglecting herself before she joined Inspire Suffolk. 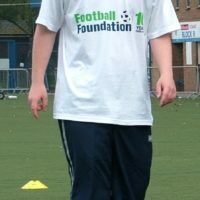 Jodie wants her story of inner strength to inspire other young carers and young people who have challenges to overcome. She feels that she has come so far and is excited for the future. Jodie is just one of the many young people that Inspire Suffolk supports to overcome a range of challenges and to strive for a positive next step in their lives. Find out more about what we do here.